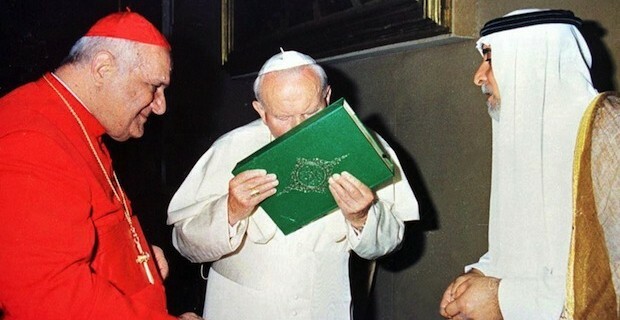 In comments which I have come across on the internet, this picture is thought to be very scandalous as it appears to show Pope St John Paul II kissing the Qur'an. Have the Vatican issued a document to clarify the story behind the picture or explain his actions? Either way, it appears the Vatican has not seen it necessary to post an explanation of the photograph. I think we should give the pope the benefit of the doubt and believe that he acted with propriety and sensitivity to the feelings of the Catholic community he leads. Do Catholics really believe in contemporary miracles?